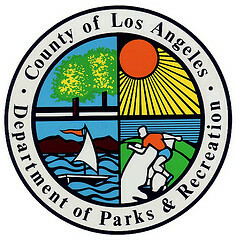 In partnership with the United States Department of Agriculture and the California Department of Education, the Los Angeles County Department of Parks and Recreation is providing more than 250,000 free lunches and snacks to children across Los Angeles County this summer at 48 County parks and eight non-agency sites. Last week, in the midst of California’s worst drought in recorded history, Governor Jerry Brown took executive action to enact the first-ever statewide mandatory water reductions. He directed the State Water Resources Control Board to impose restrictions to achieve a statewide 25 percent reduction in urban water usage through next February. This past summer, the Los Angeles County Board of Supervisors unanimously approved a measure instructing all County personnel, departments and facilities to immediately implement statewide emergency water conservation regulations that were adopted by the Statewide Mandatory Water Reduction Board. These regulations included prohibitions on certain classes of water use and an order for all urban water suppliers to implement mandatory conservation measures. In his motion, which was unanimously approved, Supervisor Knabe asked that the Board receive a report, in 30 days, on the specific actions taken by each County department; that the Waterworks Districts notify customers of the 25 percent reduction, and that the Department of Public Works report back on additional recommendations to meet the Governor’s Executive Order. “I know people get tired of hearing about the drought and our residents have, by and large, done a terrific job of cutting back. Although much has been accomplished, we must do everything we can to reduce our reliance on far-away water sources and minimize the long-term impacts of a prolonged drought,” said Supervisor Knabe. “The severity of this drought threatens our State and County beyond the control of any single local government entity and will require the combined attention and effort of an entire region to combat. We must all take accountability and work together to further reduce the amount of water we are using. As the largest County in the State, we must set the example and we will count on everyone to do their part,” he said. SB 498 broadens the definition of “biomass conversion” to include cleaner and more efficient non-combustion technologies such as gasification, pyrolosis and anaerobic digestion. Biomass is organic material such as wood, lawn and garden clippings, agricultural waste, leaves, tree prunings and non-recyclable paper. These state-of-the-art methods break down virtually all solid, non-recyclable waste into renewable materials and energy. Several conversion technology projects are already being planned for Los Angeles County. “This is a very exciting time for us and we will now be able to move ahead with these much-needed facilities in partnership with industry and the community,” Supervisor Knabe added. The County of Los Angeles has developed a new way to promote sustainable communities, encourage active recreation, and keep County bike paths free of litter and overgrown vegetation, Los Angeles County Supervisor Don Knabe announced today. The Adopt-A-Bike Path program is a public/private partnership managed by LA County Public Works to maintain the County’s more than 100 miles of bike path, while saving taxpayer dollars. Participants can sign up for a sponsorship period of up to two years or for just one day, collecting litter, sweeping, and trimming vegetation. Public Works will lend safety gear, including hard hats, vests, and gloves to participants, who will also receive complimentary trash bags and trash disposal services during the sponsorship period. According to Supervisor Knabe, the program will foster community pride and potentially lead to healthier lifestyles for County residents. For more information on the Adopt-A-Bike Path program, visit the LA County Public Works website at dpw.lacounty.gov. Following the conclusion of the Clean Water, Clean Beaches Measure Public Hearing and the testimony of hundreds of concerned stakeholders, the Los Angeles County Board of Supervisors approved a motion by Supervisor Don Knabe to allow for more time for protesting the proposed parcel tax. 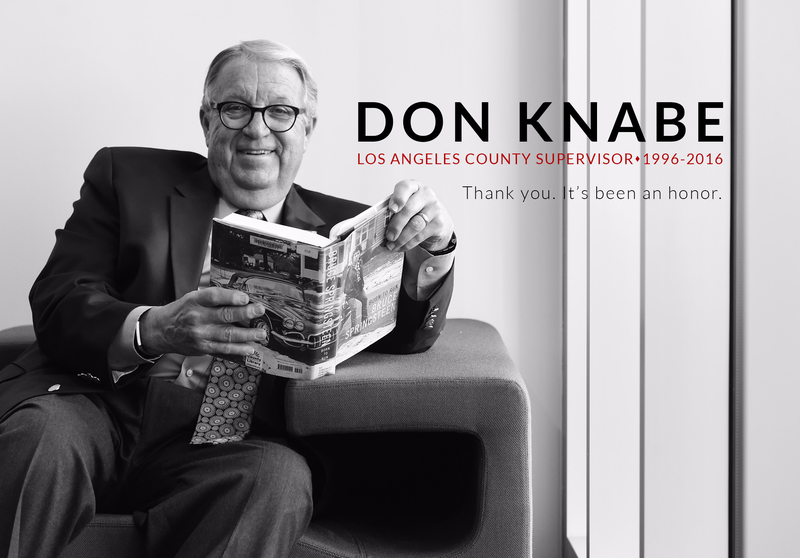 Supervisor Knabe’s motion, the public hearing and protest process would be extended for an additional 60 days and address several key issues in the process including the feasibility of an online protest option and addressing the concern of double taxation for those that are already capturing and treating storm water. Supervisor Knabe’s motion also instructed the Department of Public Works to provide a process for placing the initiative on a general election ballot, define a specific list of clean water projects, determine a possible sunset date for the measure and develop a potential alternative method of funding storm water quality projects. The Los Angeles County Public Works Department has partnered with the County Library in a recycling campaign as part of the 15th Annual America Recycles Day celebrations. Now through December 7, 2012, residents are encouraged to bring empty California Redemption Value (CRV) beverage containers to libraries in Compton, La Crescenta, South Gate, Malibu or Norwalk. The containers will then be collected and sold, with proceeds aiding the annual Toys for Tots program. Residents are also encouraged to take a recycling pledge at www.CleanLA.com and enter a sweepstake to win prizes. Sponsored by Keep America Beautiful, LA County’s America Recycles Day is designed to raise environmental awareness and promote recycling Countywide while making the holidays a little brighter for kids in need. Containers can also be dropped off at several Public Works facilities around the County. For a full list of locations and library addresses, visit www.CleanLA.com.